Chocolate to the rescue!!! :) I try to use my time wisely in the mornings because it's just way too easy to find an inch on the pet couches and watch my British comedies...which is fun, but it makes me lazy first thing in the morning. I decided to start the Chocolate Fudge Swirl Ice Cream!!! 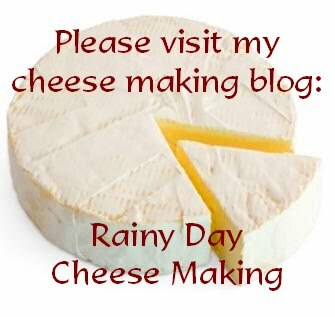 I'll post the recipe if it works out! I could dive right into these bowls and you can bet the spoons are licked clean lol...The left bowl is the soon-to-be ice cream. 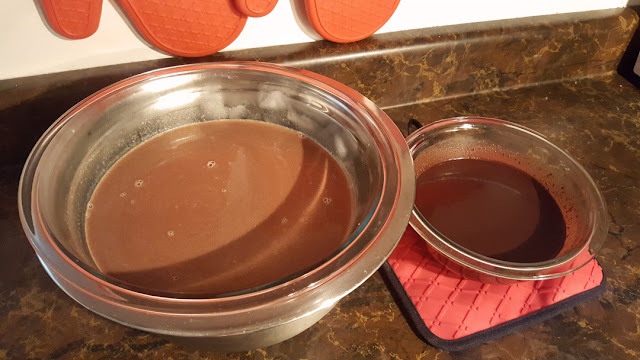 The right bowl is the fudge sauce. These go into the fridge all day and tonight I'll be making the ice cream. This is the third ice cream I'm making, I still have to post about the Country Peach Ice Cream too. Last night's dinner was AMAZING, if I do say so myself! :) I had a bunch of thises and thats in the fridge, so I put together a Goat Cheese and Breaded Shrimp Salad with Toasted Baguette. It was very easy to make and quick too! 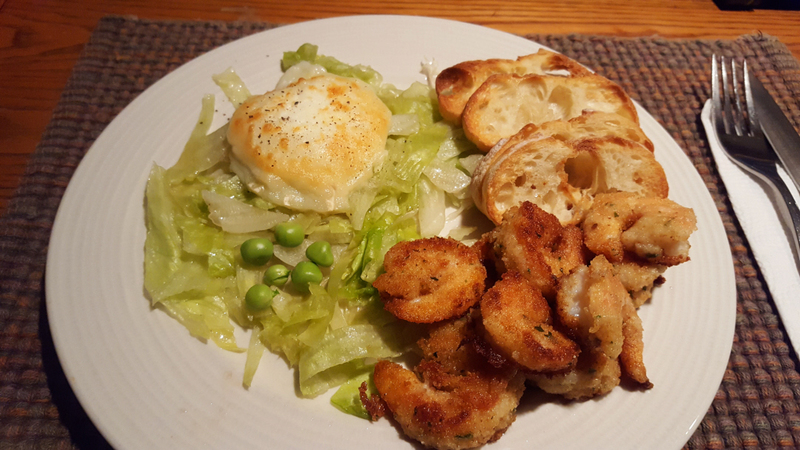 The baguette is to spread the warm goat cheese on; and those shrimp were so tender and delicious! I wanted to use my own lettuce, but we have a house guest coming and I want to save it for those Cobb salads I'm planning for that dinner. I added some of the garden peas to the little salad too and ME, the PEA-HATER, loved them! They tasted more like green beans to me, I'm pretty thrilled! Wishing all of you Canadians out there a very Happy Canada Day! And SUNSHINE. Oh man, gimme a spoon and a straw and let me at those two bowls of chocolate! 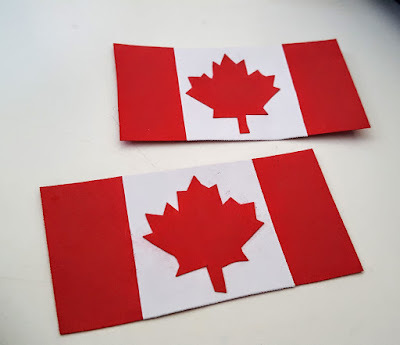 Have a wonderful Canada Day tomorrow, you two patriots! I have yet to dig out my ice cream maker. I'm waiting for the humidity to leave, so I can run the machine outside. To me it's loud. We haven't had any for a year or so either. Hi Kristina :) Ours is loud too, it rivals my crickety dehydrator in noise level but at least it's only on for about 20 minutes or so! I think I may have to fight Debra for a chance at the chocolate - that looks delicious! :) Mmmmmm. I can't wait to hear how it turned out. Your dinner looks ah-ma-zing!! We are busy this afternoon and into the dinner hour so once we get home it will be about 7 p.m. I think smokies on the BBQ and salad for our celebration and then off to watch the fireworks if I can stay up that late! Hunter cannot/will not sleep past 5 a.m. no matter what time he went to bed so this morning it was 5:08 and there I am...sleep deprived and dozy only to find a super happy puppy ready for breakfast. And now its 7:07 and all are sleeping again but me! Ugh. Anyone with pets know that the furniture is for sharing. I don't mind most of the time, except when they leave little room for me. Everything belongs to the pets. Sooner or later we all learn this :) And your food always looks so good! Happy Canada Day! I just caught up with reading all your posts that I missed! 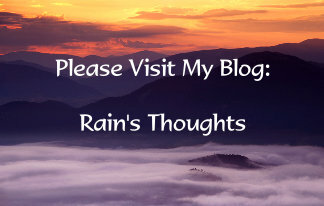 Never again will I be gone from your blog so long. I missed you and Alex and 'the gang'! Your posts are so interesting to me except I love ice cream and I'm not supposed to eat it because of cholesterol but I do on special holidays and we have our 4th of July coming up and although I am not Canadian, I love Canada so Happy Canadian Day to all of you.....definitely plenty of reasons for ice cream now! So glad Leo is better and Pavlov does seem so sweet....all of your pets do. Loved the pic of you and Alex....whatever you 2 are doing it must agree with you because you both look like you've drank from the fountain of youth! The food...what can I say....amazing and looks so delicious and your garden is so lush! Chocolate to the rescue indeed!!! Your pooches are so cute, and yes, pets do tend to take over their own spaces. I am totally ok with that too. 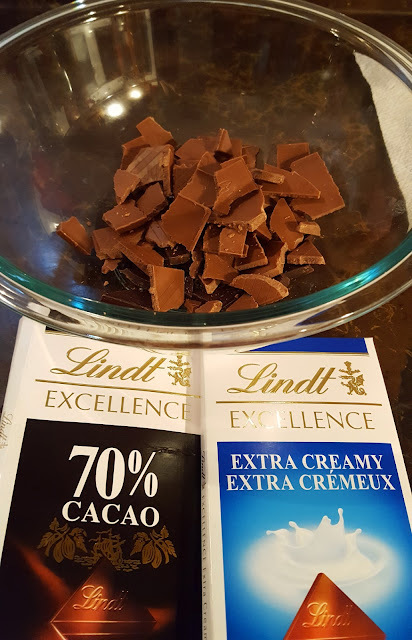 I don't fancy chocolate in the mornings. Lovely in the evenings though. oh my dear friend i am sorry that you woke up early and feel tired and need nap but i agree that chocolate is great help to lift your mood up nicely . you are very talented to arrange all this as beautifully dear Rain! i adore your love for your lovely homeland my friend ,Happy Canada day to you ! Rain - first off Happy Belated Canada Day!!! i hope yours was awesome! we have similar problems to yours - our 4 cats steal our computer chairs and our comfy chairs in front of the tv all the time AND the beds...not to mention that most mornings when we are trying to play our morning cards at least one cat wants on the kitchen table AND on top of the cards! jambaloney is the chocolate lover here - he would definitely face-plant into your bowls of chocolate!!! i love the flags that you made to celebrate our country's 150th...though not being recognized as such by many of our nation's aboriginal people. your supper looks devine and i am sooo glad that you are enjoying the peas! home-grown anything tastes delicious! and i can't wait to see what you cook up for your houseguests! Thanks Dianna! Happy Canada Day (belated) to you too!! :) Poor you...Charlie used to scratch at our bedroom door in the mornings when she wanted us to get up...that was before we got the other dogs two summers ago. We ended up having to barricade the front of our bedroom door so she couldn't get near. We also have "white noise" in our bedroom. A little desk fan that runs all night to keep us from hearing her whine now and then. I hope Hunter decides to sleep in soon! Happy Canada Day to you too sis :) I'm so late on responding...I'm glad you are in Canada too and love it! It was very difficult not eating all that melted chocolate, lol. Hi Baili! :)) Thanks so much for your wonderful comment, you always have a way of making my smile grow much wider! I hope you're feeling great these days! Hi Kymber :) Happy Canada Day to you too (again, belated! )...the dogs just hog all the furniture...but the cats do hog the computer chairs too, only thing is they dig their claws in when we try to move them grrr...they do NOT want to give up those space lol... I'm so happy the peas don't taste like the peas I grew up with, shudder...they still make me gag thinking of them lol!